Hong Kong pop star Aaron Kwok has just dropped a major hint that his wife Moka Fang is pregnant with their second child. Is Hong Kong pop star Aaron Kwok going to be a father again? His wife model Moka Fang sparked speculations of another pregnancy after she appeared at a charity dinner in Hong Kong recently looking plumper and with a slightly bigger belly. Kwok seemed to have hinted so when he attended an activity organised by an insurance company on Tuesday (Nov 27) evening. He was talking about healthy living and saying that he jogged at least three to four times a week when he was asked by journalists whether his wife was unable to accompany him in his exercises because of her reported pregnancy. Kwok was speechless for a short while before he replied: "I can't say for now, but it will be soon. And thanks, everyone, for the blessings." He then added: "For happy occasions, give me some time, and I will make a personal announcement." He also thanked reporters who congratulated him later. According to online news site ET today, this was Kwok's tacit acknowledgement that he is expecting a second child, but is waiting for the customary three months before announcing the pregnancy. Some Chinese believe that it is tempting fate to announce earlier. There have been rumours of them expecting a second child since September this year, but they have not responded to these speculations. Fang said in an interview less than a year after giving birth to her daughter that she and Kwok would try for a second child and hoped it would be a boy. However, she said they would let nature take its course and will not take any measure to ensure that the next baby is a son. Kwok has appeared in two movies this year - fantasy flick The Monkey King 3 and crime thriller Project Gutenberg with Chow Yun Fat. 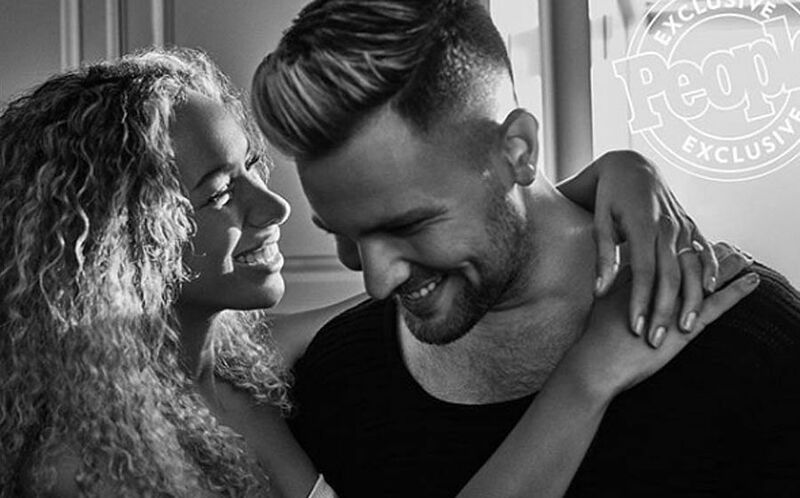 Yup, Leona Lewis has confirmed her engagement! VS model Jo Skriver is engaged!